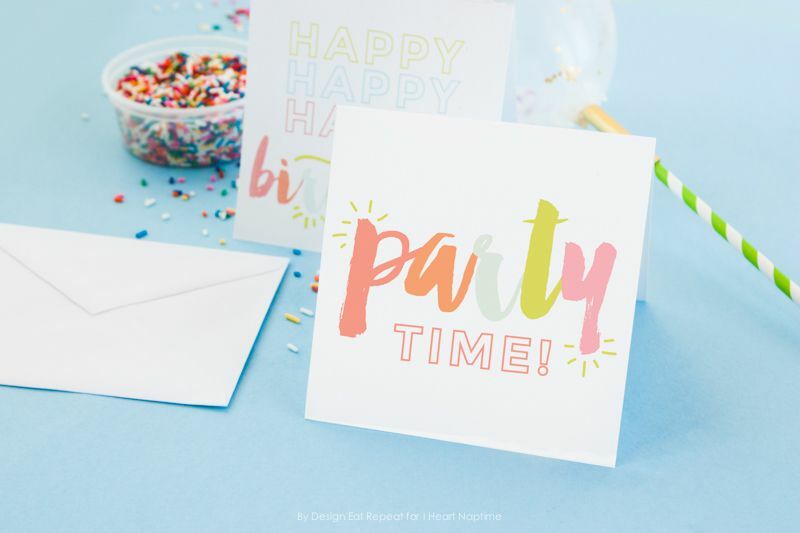 With these free, printable cards you can send a friend or family member a greeting card without having to pay the ridiculous amount for a paper card at the store, or spend the time standing in line to check out. These cards look best when printed on card stock but they'll look great printed on normal computer paper as well. Be sure to follow the directions to download, customize, and print each card. Save even more money by printing your own envelopes for your cards and adding a free customized address label. Nothing says Happy Birthday more than a card just for the birthday boy or girl, no matter if they're young or young at heart. You'll have a blast browsing through all these cards that will help you send a birthday wish. These cards will help you say thanks for that gift or gesture you've recently received. There are some fun, colorful cards here as well as some more sophisticated ones based on the occasion. These greeting cards are for that very popular winter holiday—Christmas. There are lots of choices and you'll be sure to find just the perfect greeting card here. If you want to get a little more creative, we also have some free Christmas card templates. Don't forget that special couple or significant other with these cards that celebrate anniversaries. You'll even find some photo cards in this list where you can include a photo of the happy couple. Congratulate the graduate in your life with these cards for graduation. Whether they are graduating from high school or college, you'll find just the right printable card. If you have a friend who's under the weather or on the road to recovery, you'll want to check out these get well soon cards. There are quite a few different designs here but they all have on major thing in common—they'll put a smile right on the recipient's face. These cards are for that person in your life who has recently lost someone near and dear to them. The cards you'll find here are soothing and will help you put your thoughts into a warm message. Your mom deserves a nice Mother's Day card this year and you can get her one with these cards. These are some unique and lovely cards that will let mom know how much you care. Send dad a unique Father's Day message this year with these cards. These cards are great for the dad, husband, or other father in your life this Father's Day. Don't forget about the grandparents with these Grandparent's Day cards. You'll be able to visit the best places online to find cards for Grandparent's Day. Show that special someone who much you love them with these cards for Valentine's Day. These cards are great for the kids and adults on your list. You'll love these fun cards for Easter that feature bunnies and eggs. These cards aren't just for kids either—adults will adore them! Wish your loved ones a Happy New Year with these cards. If you forgot to send out your Christmas cards this year, this is the perfect way to make up for that. You can also send a free Happy New Year ecard if it's too late to get them out in time. Halloween is a great time to send a free, printable card if you're in a pinch. All the kids and probably the adults will love these cards with Halloween greetings inside. Cards for Thanksgiving might not be the norm but who wouldn't love to receive one of these cuties? Surprise your host or family member with these cards just for Thanksgiving. Celebrate St. Patrick's Day by sending some of these cute cards out to everyone you know. These cards have a lot of green to them and you'll think they're so cute, you'll want to keep them all for yourself. Send your wedding congratulations to the new couple with one of these wedding cards. These are perfect to go with your wedding gift.